There are many reasons why anyone would want to install sod on their lawn. Not only does a beautiful lawn improve your home’s aesthetics it is a sure way to enhance the value of your home. But, what is sod? Sod refers to grass and the part beneath that holds it together. This might be soil or some other light material. It’s the root system of the grass that hold the soil/light material together. If you’re not the patient type and like instant results. You won’t be disappointed by sod. Maybe, you’re a real estate broker and you have clients coming out of town on short notice and you want to give them a mind-blowing first impression of the house. 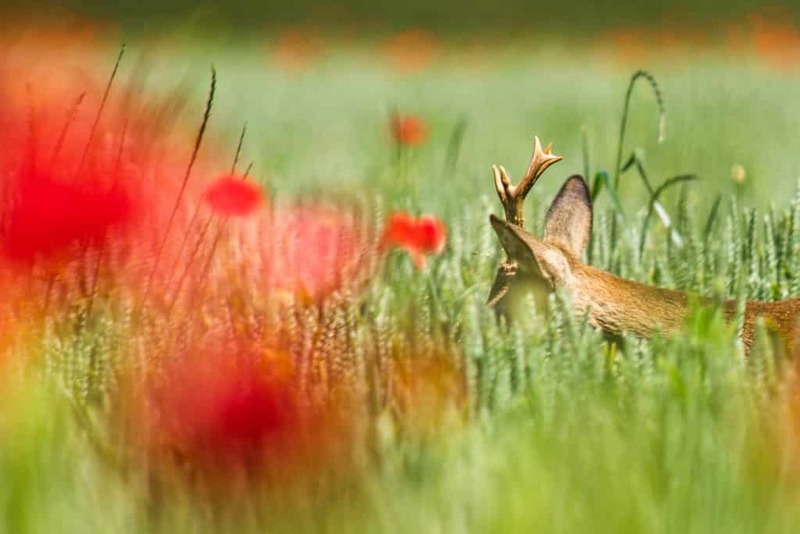 There’s no better way to do than making them see that the grass is truly greener on the other side. Soil erosion will make your property look dull and washed out. Reducing the value of your property as it makes it look unsafely and unsightly. Of course, the above is just a minor inconvenience compared to the consequences of a major runoff. Soil erosion on a large scale can cause both government officials and your downstream neighbors to sue you. The more erosion that occurs the more the cost of repairing the damage will rise. Thankfully, the installation of sod is an effective and affordable way to fix your runoff issues. Sod grass tends to have a high density of grass blades that have a thick root mass which is a contributing factor to their heavyweight. The sod’s weight means that it’s capable of stopping soil erosion the minute it’s installed. This is despite the fact that the ground on which it’s been installed on is a slope. In fact, scientists have determined that the best way to effectively stop soil erosion is by installing turfgrass sod. Unlike with seeding, soil preparation for turf is a whole lot cheaper. With seeding soil, you’ll need to level the ground and get rid of any debris that might reduce seed-soil contact. If you have a large area to cover, then this might take time and plenty of resources. In places where seeds would easily get blown away or in situations where the purchase of grass seeds would be expensive, sod acts as a suitable alternative. As mentioned before soil erosion tends to be a huge problem for homeowners especially if the home’s lawn has a slope. Construction sites also tend to be severely affected by soil erosion so turfgrass sod would come in handy. Sod plays a critical role in cooling the air. This is useful in urban areas as it helps offset the greenhouse effect. 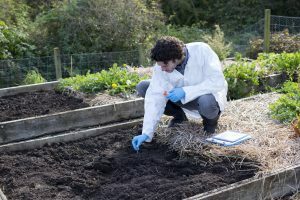 According to a study carried out by the Penn State, the use of turfgrass is the most effective way to counter the greenhouse effect in urban areas. Not only is it effective it is also cost-effective. 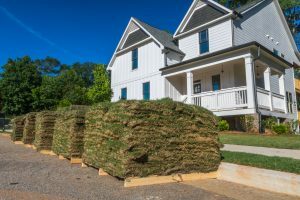 As if that’s not enough during hotter months sod increases your home’s indoor comfort by keeping our home cool and eliminates the need for air conditioning. Sod is truly a miracle patch. It will pull in dust and smoke particles as well as sulfur dioxide and carbon dioxide and gives out oxygen. A study revealed that 2500 sq ft. of a patch of sod are sufficient to produce oxygen for four family members. In addition, sod is capable of trapping water contaminants when it rains hence purifying it before it gets soaked into the soil. And just in case you thought that’s all the pollutants that sod takes care of, there’s still one more! When installed on a slope adjacent to a noisy road, turfgrass has been found to reduce noise levels in the range of 8 – 10 decibels. Sod is useful for when we experience torrential rainfall. Instead of having water flood your lawn and overflow into water drains that are filled over capacity, sod directs the rainfall to the ground where it becomes part of the already existing groundwater supply. In Scandinavian countries, sod is used to create roofing material. If you wonder how think of what hobbit holes look like in Lord of The Rings. Sod roofing has been in existence for quite a while and was widely used in the American West. Sod is like most crops in the sense that it has to be grown and then harvested before finally getting installed after transportation to the destination. According to the United States Department of Agriculture, there are about 1,500 farms across the country that specialize in farming sod. These farms sod crop covers an estimated 370,000 acres of land. Due to the numerous restrictions on transportation from abroad including how much it would cost, most sod is farmed locally. In order to diversify sod production, new methods and strains get developed every year. 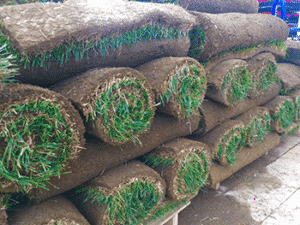 There are a number of ways that sod is sold and harvested. Sod may be sold as a rolled rectangle which is the standard for lawn installation, it might also be sold as a square which is much easier for the regular homeowner to handle, and finally, for major commercial installations, sod is sold in four foot wide rolls. The Mississippi State University is working on developing a hydroponic sod, that is, a piece of turfgrass that’s grown without any soil. If successful, this type of sod would not only be lighter, but it would also travel longer distances. This would make it possible to export American turfgrass sod. There are many different types of sod that differ from each other based on various factors. Before we getting into these factors. Let’s first take a look at the classification of grass. 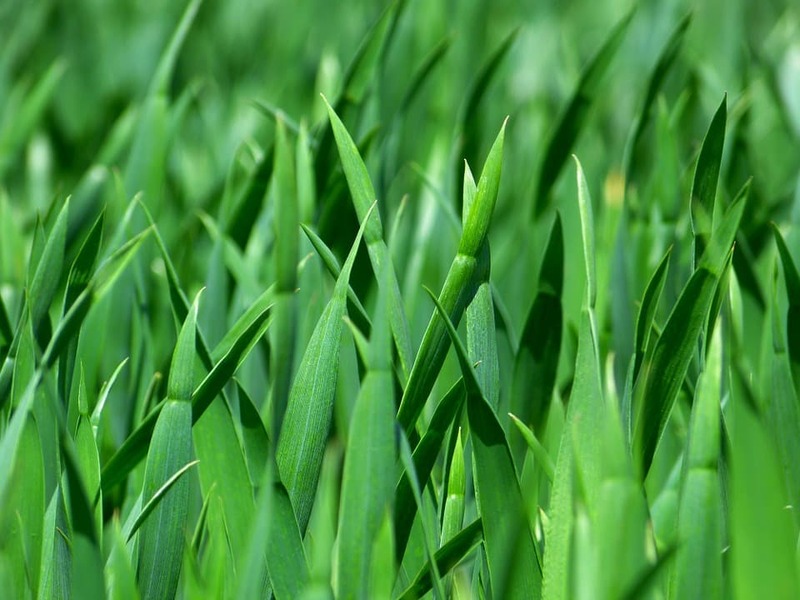 Grass is classified based on the season it best thrives in. It is useful to know this information as you’d not like to end up purchasing grass that’s not suitable for your kind of climate. There are also some types of grasses that only thrive under shade but won’t do well under direct sunlight. In addition, we also sell artificial grass. We can deliver and install sod for you if you live in Orange County, Osceola, Seminole, Lake, Parts of Brevard, Volusia, and Polk counties. Zoysia grass is mostly found in Southern California, along Florida’s Atlantic coast all the way to Connecticut, and from Florida to Texas. Zoysia grass is capable of tolerating shade in warmer climates however it really doesn’t do well in cooler temperatures. Zoysia grass is perfect for an athletic field or lawn cover as it has carpet-like thickness. One of the advantages of Zoysia grass is that it’s able to adapt to various types of soil including clay-filled, alkaline and acidic. Like Bermuda grass, Zoysia is salt tolerant which explains why it thrives on sandy beaches. You shouldn’t be concerned with how Zoysia fares in arid areas as it is drought-resistant. It will take on a straw coloring during drought conditions however once it’s irrigated it recovers quickly. Unfortunately, it’s not quick to recover from heavy traffic. For instance, it cannot withstand the toll of having a soccer match or a football game. Apart from the United States, Zoysia can be found in places like China, Japan as well as other places in Southeast Asia. Zoysia isn’t native to the United States and was first imported to the US from the Philippines. Zoysia Japonica – Also known as Japanese lawn grass and Korean lawn grass. This variety is renowned for its tolerance to cold and can be found as far north as Connecticut. Of the three varieties of Zoysia, this is the only one that can be established through seeds. Zoysia Matrella – Of the three varieties of Zoysia, Zoysia Matrella is the most prevalent and can be used in subtropical as well as tropical climates. It too grows in Connecticut, however, it mostly thrives in areas with less shade. Zoysia Matrella remains green in warm climates, however, in cooler climates, this grass becomes brown during late fall through the winter months. Zoysi Tenuifolia – Also known as Korean velvet grass or Mascarene grass, it is the least cold tolerant of the three varieties of Zoysia. It’s native to the Mascarene islands and is also found in Southern California where it is mostly used for low growth ground coverage. For the best look, you should consider installing French drains for Zoysia. 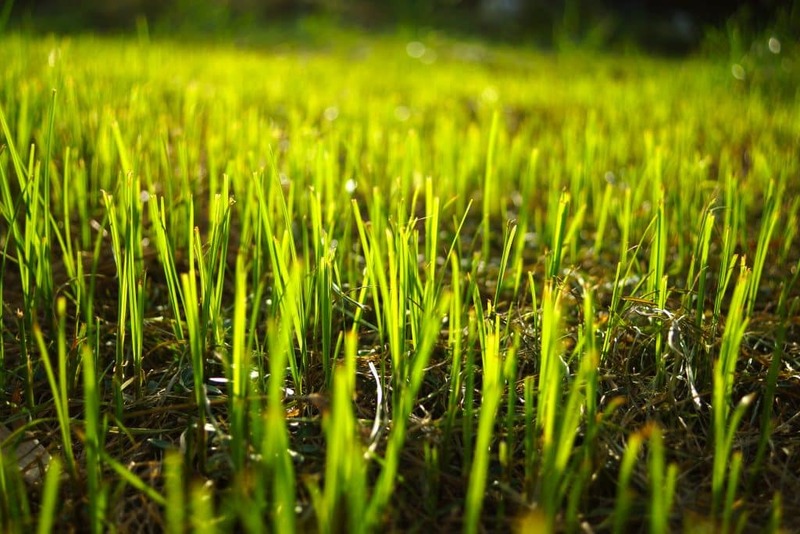 You can easily find St. Augustine grass in most yards across the Gulf Coast. From the Carolinas to Florida, Southern and Central California, and along the Gulf Coast all the way to Texas. Other than the United States, St. Augustine is found in Africa, Australia, and Mexico. St. Augustine is versatile and does well in different types of soil. The only exception is soils that are waterlogged or are prone to drought conditions. Optimum conditions for St. Augustine are fertile and moist soils. St. Augustine is shade tolerant, however, in heavy shading conditions, it will change to spindly thinner turf. For healthy looking St. Augustine grass you will need good drainage, fertile soils as well as high temperatures. Like Zoysia grass, it isn’t good at handling heavy traffic which makes it good for a yard but not an athletic field. St. Augustine grass isn’t threatened by weeds however a few of the more serious pests pose a danger. Floratine – This type of grass has a deeper shade of green and a fine texture. During the fall, this variety maintains its color late in the fall and is unlikely to die from mowing. Texas Common – This variety has been commercially available since 1920. Seville – Seville was created in an attempt to resist chinch bugs. Even though it cannot tolerate colder weather it has a very fine texture. Bitter Blue – It has a darker blue-green color than other St. Augustine grasses as well as a dense and finer texture. It has good shade and cold tolerance, however, it’s not resistant to chinch bugs. Floratam – This variety was first introduced in 1972 to Florida by the Texas Agricultural Experiment Stations. Floratam is engineered not to be susceptible to the SAD virus and chinch bugs. Floratam is mostly used as a pasture grass and is grown on muck soils. Some disadvantages are that it’s not cold resistant nor shade tolerant like some other varieties of St. Augustine grass. Raleigh - This variety of St. Augustine grass was released in 1980 by the North Carolina Experiment Station. Raleigh is resistant to SAD and is cold tolerant. Though it does well in shade it doesn’t have a resistance to chinch bugs. Centipede grass was first introduced to the United States in 1916. It is native to Southeast Asia. In the United States, Centipede grass is mostly found in the regions of Florida and South Carolina as well as the Gulf States. The climate in that part of the country suits is agreeable to the growth of Centipede grass. Another name for Centipede grass is “lazy man’s grass” as it requires little maintenance even more than Bermuda or St. Augustine grasses. Oklawn - Oklawn was developed by Oklahoma State University and was released in 1965. It has been engineered to be more tolerant of droughts and cold temperatures. Tennessee Hardy - Tennessee Hardy was developed by the University of Tennessee and is very tolerant of cold conditions. AU Centennial Centipede Grass - This variety of Centipede grass is denser and lower due to the fact that it has shorter internodes. It also has a great aesthetic due to improved appearance. 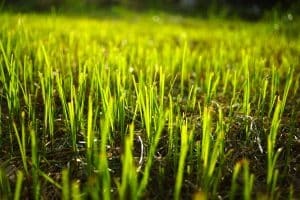 Even though you can establish Centipede grass either by using Seed, or Sprigs, using sod requires less work and you can expect to have a lush lawn after three months with proper irrigation. Even though using nitrogen fertilizer does make the grass look greener we would caution you against using an excessive amount as that will give you problems down the line. 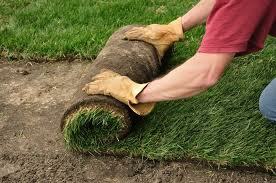 If you would like to discuss what type of sod is best for your home, do get in touch. We deliver and install different kinds of sod in Orange County, Osceola, Seminole, Lake, parts of Brevard, Volusia, and Polk counties. Now that you know everything you need to about the different types of sod grass that you can lay in Orange County, Osceola, Lake, Seminole, and parts of Volusia, Brevard, and Polk counties, it is time to install the sod. 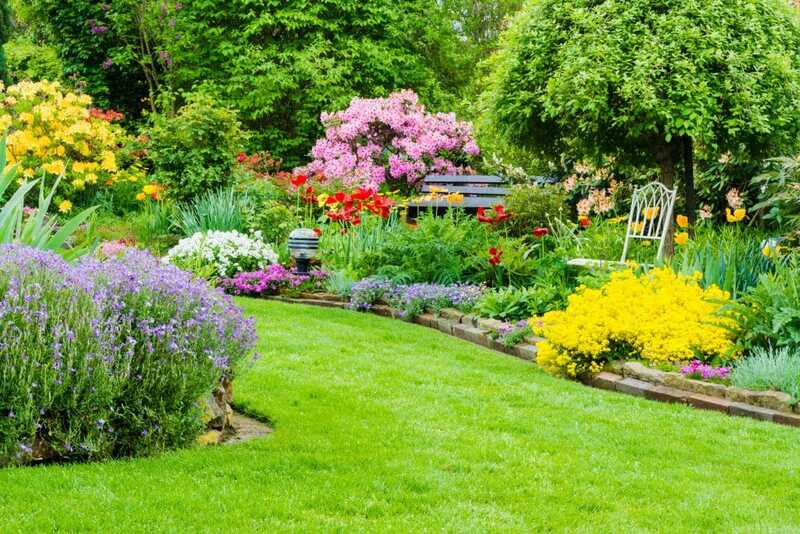 All sod needs soil that is well aerated and that is also rich in nutrients. The optimum soil pH ranges between 6.0 and 6.5. Sod also does well on loamy sand, sandy loam, as well as loam soil. However, turf does not do well on clay soils. If you find that your soil has a high clay content, you can add sand to even it out. This mixture will provide proper aeration and create a mixture that is loose thus making it possible to establish a strong root structure. To find out your soil’s pH, use soil testing kits. If the results you get indicate that the pH is 7.5 and above, it means that your soil is alkaline. You will need to add sulfur or gypsum to acidify the soil. If you test the soil and find it to have a pH of 6.0 or below, it means that your soil is acidic and you will need to add lime in order to raise the pH to an optimum range. If possible, try and grade the area and slopes away from the buildings. This way you will prevent a flood from taking place near the foundation. Next, you will need to add approximately 4 inches of top soil to the area followed by another 6 inches of composted organic matter. Finally, level the area using a rake. Use a high-phosphorous starter fertilizer and mix it in with about 4 inches of the top soil. To ensure that there are no low areas use a lawn roller filled with 1/3 of water to settle the areas surface. If you do not have a lawn roller you can walk over the prepared area on your heels to find any spots that need to be filled. Before you proceed to make an order for your sod, take out a measuring tape and measure the area you intend to sod. Sketch out your dimensions on a piece of paper and note down the actual measurements on it. The measurements you note down will what you will use when making an order. Make sure that the measurements you note down are 5% of the actual measurement. The extra measurements will provide leeway for cutting around any curved areas. There are numerous places where you can buy sod including a local garden center. However, if you live in Lake, Orange County, Osceola, Seminole, or in parts of Polk, Volusia, or Brevard counties, then you can get in touch with GroundSource.pro. In addition to delivering sod, we also do the installation. However, if you insist on a DIY below is a step by step guide on how to go about it. Before we get into the details, here’s a tip. If it happens to be sunny on the day you are laying down the sod, keep the unused sod in a shady area and cover it with moist burlap. This will prevent it from drying up. Before you lay the sod, determine the most straight edge and use it as a starting point to unroll the sod. In order to eliminate the gaps and overlaps between the rows press the edges of the edges and ends of the sod together. You will also need to trim and cut the corners where necessary. Lay the whole sod pieces one at a time and position them to end to end in the same way a brick wall is arranged. Try as much as you can not to walk on the turf while smoothing out any wrinkles you might come across. Pat each piece gently to get rid of any air pockets. Avoid as much as possible arranging small pieces of sod at the edges of the new lawn as there is a big chance that they will dry out. Instead, lay them in the middle of the area before scattering sandy loam into any gaps that might appear at the joints. Water your lawn within 30 minutes of laying it. Ensure that you saturate the soil beneath the sod. You will need to water your new lawn every single day for the next week to provide it with sufficient moisture. Starting the second week only water it every other day. This will encourage the sod to have deep roots. In the third week you will only be required to water your lawn only twice a week. Beginning the fourth week, make sure that your lawn receives at least an inch of water once a week. Wait until 10 days have passed and the sod has grown at least 3 inches before you begin to mow the grass. After the grass has been growing for at least 4 weeks, apply a starter fertilizer. One of the major mistakes that people make is choosing the wrong type of sod, that is, sod that does not do well in their area of residence. Thankfully though, this long guide has given you advice on the best type of sod to grow in Central Florida. We have already established that it is possible to lay down the sod in a DIY project, so why would you need to hire a pro? Professionals have years of experience preparing lawns as well as laying the sod. Also, if your lawn is on a slope or has numerous curves it will be more challenging laying the sod. When you hire a professional to install your new sod it involves redesigning the new lawn shape, removing garden beds or old lawns, prepping the soil with an appropriate mixture. If you would like to know more about sod delivery and installation and live in the Central Florida area, get in touch with us. One of the major challenges that your newly installed sod will experience are turf insects. 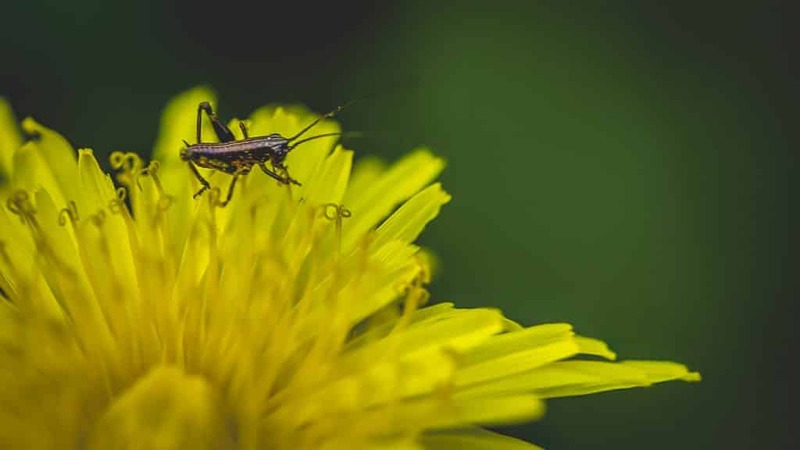 Generally, there are two different types of turf insects, that is, subsurface feeders; those that feed on roots, and, surface feeders; those that feed on shoots. Even though these two types cause varying damage to your turf, one thing is for sure, your turf will not grow unless you effectively deal with this problem. In addition to old sod removal and new sod installation, Ground Source also specializes in pest and disease prevention. Residents of Orange County, Lake, Seminole, Osceola or parts of Polk, Volusia, or Brevard counties can get in touch with GroundSource.pro, to find out how we can help them with their pest and disease problem. When surface feeders attack turf, they prevent not just photosynthesis from taking place but also oxygen and respiration exchange. If the turf’s attack leads to deterioration of leaves as well as the crown, plants are unable to produce tillers, stolons and rhizomes. When a turf plant’s crown is injured, it diminishes the plant’s capacity for lateral expansion into spaces that are already suffering from the negative impact of damaging influences including uneven irrigation, fungal diseases, as well as excessive thatch. To help avoid the issues mentioned above, you will need to perform dedicated monitoring or regular scouting for pests that are notorious for destroying turf. As nymphs, chinch bugs are tiny; only measuring 1/32 of an inch. They come in different in species and so vary in appearance. Depending on the species of chinch bug, you can expect to see a white, grey, or red band on their abdomen. Chinch bugs start off as eggs and then go through four or five stages before they are fully grown. Each stage of growth is marked by a different color. Their first color change is orange and once fully grown they are black and white. Once fully developed they grow to sizes of up to 1/10 of an inch. Wingspan varies based on the type of chinch bug. What makes chinch bugs a threat to your turf, is the fact that they feed off the sap that is produced by leaves. Their mouths are shaped like a needle and during feeding time, they release a toxin into the plant which disrupts the flow of water and nutrients in the plant. This in turn causes plant tissue to discolor and wilt. When this goes for a time, the turf begins to get dry as well as turn brown. Various treatment is available depending on what part of turf plant chinch bugs are attacking. For instance, if chinch bugs attack the leaves, insecticide needs to be applied on the foliage. On the other hand if the crowns are under attack, granular insecticide should be used in combination with an 1/8 inch of water to bring the insecticide into contact with the chinch bugs. To allow better penetration into the canopy, it is recommended that lawn mowing as well as clippings removal take place. Sod webworms refer to caterpillar pests that mature into tiny moths. One of the distinguishing characteristics of the moth is that it looks like a rolled up newspaper. The sod webworms caterpillars come in cream and are marked by distinguishing marks of red-brown, brown or blackish spots on every body segment and have a dark head. Sod webworms usually feed at night and sleep in during the day. Larvae damage becomes evident around July/August. During the night sod webworm’s larvae feed on leaves, lower stems and crowns. The first sign that your lawn is under attack from sod webworms are ragged patches. If you take a close inspection you will notice that ragged turf takes on a scalped or grazed appearance. With time these patches grow larger and coalesce into larger turf. To confirm that you are actually dealing with sod webworms you can apply lemon-scented dish soap or a pyrethrin flushing agent. These will normally force sod webworms to surface and during this process not only can you identify them, you can also count them. In case you don’t have either the dishwasher or the flushing agent, you can use a pocket knife to scratch the surface. Another way to know if your lawn is under attack from sod webworms is by keeping an eye out for adult moths. 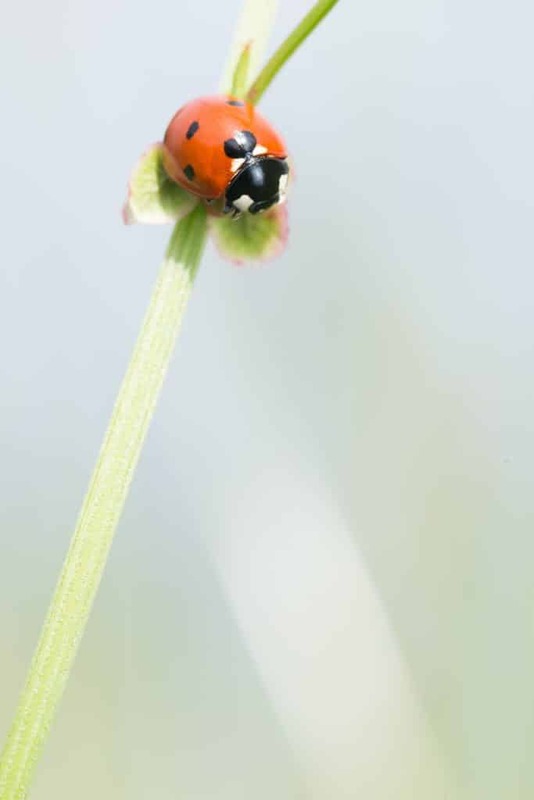 You can defend your lawn against attack through application of insecticide in midsummer. This will prevent the caterpillars from burrowing deep into the ground in preparation for the winter months. Some of the insecticides that can be used to control sod webworms include halofenozide, carbaryl, chlorantraniliprole, bifenthrin, or Bt. Application of chemical insecticides is not the only option though. Non-chemical alternatives include the application of nematodes on the affected turf. For the best results always ensure that you follow label instructions found in nematodes as they can expire before application. Billbugs fit the bill as both subsurface and surface feeders. Older larvae feed on turf roots while smaller billbugs focus on the turf stems. Billbug larvae can easily be confused for white grubs. The distinguishing factor is that they are legless. Their slightly curved bodies look similar to a grain of puffed rice. On the other hand once a billbug is all grown out it resembles typical weevils in the sense that the mouthparts are located at the end of a bill or curved snout. A newly hatched billbug will usually focus on hollowing out grass stems. Grass under attack becomes discolored and readily detaches at the crown when gently tagged. There are some things you can do to reduce billbug damage. For instance, you can implement irrigation and fertilization programs in addition to using selected turfgrass cultivars that are adapted to this kind of pest infestation. There are several billbug-resistant cultivars that are readily available. Get in touch with GroundSource.pro for more information. Ants are usually not a problem but they can be when they attack turf areas. Unlike the pests mentioned above, ants do not feed on grass, however they are notorious for building mounds of sand that can affect your lawn’s aesthetic. In addition, these mounds usually flatten out to smother and kill half dollar-sized patches of turf. Ant colonies are usually established in well-drained spots that receive a lot of sun. They usually will dig up to 3 feet deep beneath the surface. The mounds are a result of the many tunnels dug under the surface. To effectively deal with an ant invasion requires the elimination of the queen using either granular or liquid insecticide. If you think that only a few colonies are present on your lawn, then you might want to consider applying insecticides directly to the areas in the mounds immediate surroundings as well as the openings. On the other hand if you are dealing with numerous ant colonies, treatment is best applied throughout the entire area of infestation. Using various products in combination with pyrethroids can go a long way in helping completely get rid of an ant-problem. There are other pests you need to keep an eye out for such as armyworms and cutworms, mole crickets and greenbugs. If you would like more information on how to deal with pests on your lawn to keep your turf looking healthy and green do not hesitate getting in touch. So, now that you have read everything you need to know about sod, you should be in a good position to make informed decisions. When you have turf installed, you know that it will improve the aesthetics as well as the value of your home. When it comes to the type of sod you purchase, you should research the various kinds to ensure it fits your needs. As you are studying the different types of sod, you need to pay attention to how much maintenance it requires, whether it requires full sunlight or shade, or if it does well in high traffic areas. 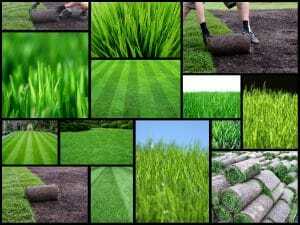 Once you have found the perfect sod, you can then decide whether you want to install it yourself or if you should hire a professional to take care of it for you. 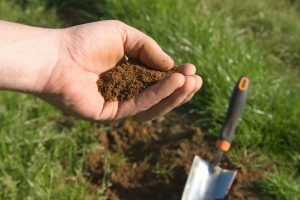 If you opt to do it yourself, you need to ensure you properly prepare the soil so that you can then effectively install the sod. When you prepare the sod, you will also need to check the pH balance to see if you need to add sand to the soil so that it will meet the required pH for the sod you choose. If this is too much for you to deal with then, you can feel confident that when you hire a professional, they will take care of everything. They will properly check your pH levels, prepare your soil, install an irrigation system (if desired), and then lay down the sod. Thus, if you want it installed right so that you do not have to worry about it, you should leave it in the capable hand of a sod professional.